The hackers have released 1.5GB of data taken from the Ministry of Communications and Information Technologies. Members of Anonymous recently released 1.5GB of data stolen from the Ministry of Communications and Information Technologies of the Republic of Azerbaijan (h/t Cyber War News). "A WILD RELEASE APPEARS! 1.5 Gigabyte from the Ministry of Communications in #Azerbaijan. Spying & Terrorists & More," the hackers tweeted on April 15. "The documents contain a variety of information showing interesting ties between all kinds of strange corporations, government agencies and officials. 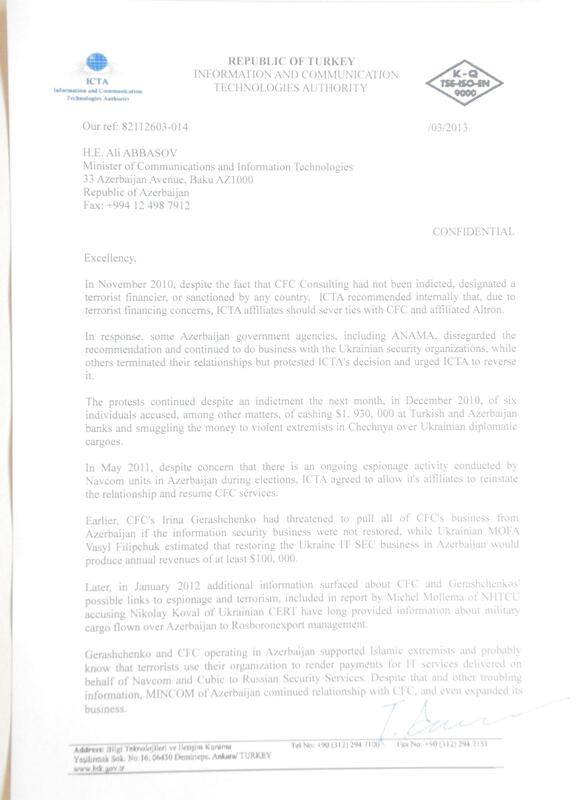 For instance there is ominous CFC Consulting & Trading Inc. which is suspected to finance terror organizations, yet has ties to US and Russian Government agencies as well as the the Azerbaijan National Agency for Mine Action (ANAMA, anama.gov.az), as this document shows," the hackers wrote. According to Cyber War News, the leaked data contains XLS, PDF, DOC and image files, including "information relating to joint country missions and information and charts related to the delivery of items for these missions."